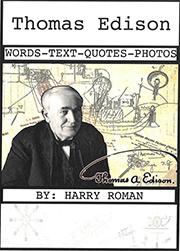 It seems somewhat fashionable today, especially among young folks, to believe Thomas Edison took unfair advantage of Tesla … but it’s not true. The experts and archivists at the Thomas Edison National Historical Park in West Orange, NJ cannot find anything on file to indicate acrimonious exchanges between these two great inventors. For a brief period of months, Tesla worked for Edison at one of his New York City shops on a specific project, and when that project was closed down, Tesla left. 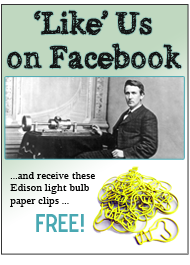 He did not even work directly for Edison. Somehow, the conspiracy theories continue to grind out all sorts of terrible things that Edison was purported to have done. 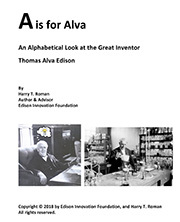 A very well documented book [Tesla: Inventor of the Electrical Age] by W. Bernard “Bernie” Carlson, noted technology author and professor at the University of Virginia, carefully analyzes this complex man. Consider some salient points Carlson makes about one of America’s first celebrity scientists. Tesla was an astute self-promoter and gifted showman who cultivated a memorable and dramatic public image as an eccentric genius. He promoted his inventions by creating [fanciful and perhaps unrealistic] visions of future peace and prosperity. Unlike Edison, who started with an idea and drove it all the way through to establishing companies to manufacture his products- a classic vertically integrated entrepreneurial approach- Tesla preferred to patent, promote, and sell his inventions to investors and businessmen. What escaped Tesla was the need to do the nuts and bolts engineering, manufacturing optimization, and incremental improvements needed to make a product customer worthy. 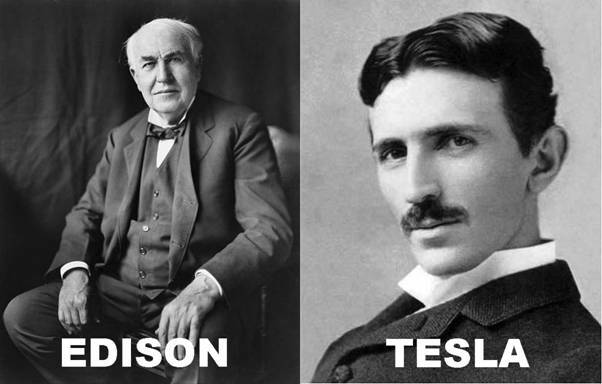 Edison and Tesla saw the world very differently. 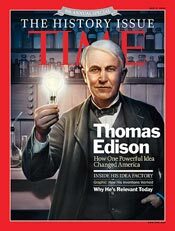 Edison practiced what is called market-pull innovation, letting the demands of the customer drive the economics and such. Tesla practiced knowledge-push innovation, creating a vision for his technology and selling it that way. Tesla advocates, often young folks, tend to see Tesla as the ultimate geek, unsullied by profits and debased by the give and take of the business world. In many ways we have a need to cast comparisons of Tesla and Edison as good versus evil, but Carlson shows it is just not that kind of comparison. They are two men who looked at the world of invention from two distinctly different standpoints. Both men helped propel a young America forward, stimulate technological development and instill in millions of Americans the benefits of technology. Both men…giants of the times … succeeded … and, that is really what we need to remember. See for yourself in the video below what the experts say about these two giants of electricity. Bernie Carlson and Leonard DeGraaf, archivist at the Thomas Edison National Historic Park, recently shared the dais at the Mark Twain historic home in Connecticut to discuss the Edison-Tesla interactions. Enjoy. This entry was posted in Did You Know? and tagged invention, light bulb, nikola tesla, tesla on June 18, 2014 by Edison Innovation Foundation. will let fish attack without hesitation. I am currently functioning on a cookbook. It ought to be out sometime this year.